This fast-track project was designed and constructed in 3 months. The college wanted to modernize the space with their year-end budget funds and have the space ready for student occupancy in the fall semester. 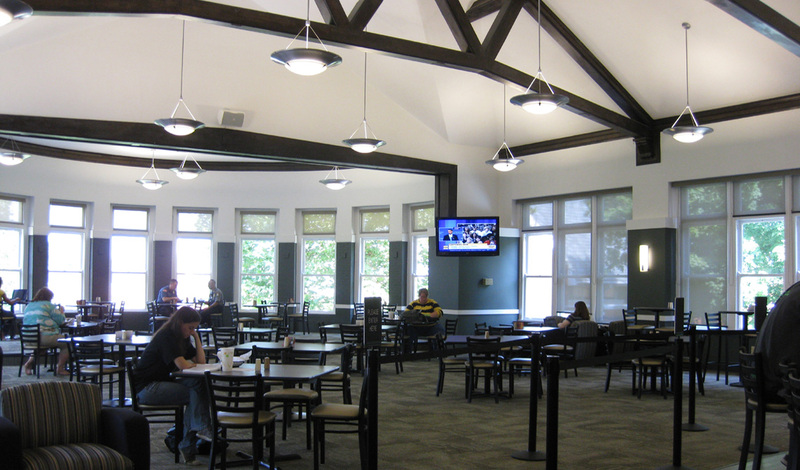 Partnering with the college, the contractor, the food service vendor, and the furniture supplier were critical to the project's successful and timely completion. The facility includes a new kitchen, dining area, lounge area, restrooms, and serving line. The existing hall was completely remodeled and refurnished.